Last Updated: November 28, 2018 | Subscribe to our weekly newsletter! Maybe you’ve got a brand new pool. Maybe your pool has a bad case of contamination, or you’re refilling a pool you had to drain for repairs or a new pool liner. Or maybe you have to replace the water that splashed out when your Big Uncle Jimmy did his famous cannonball at your last pool party. Whatever the reason, you need an affordable method of pool water delivery. How you fill your pool depends on your location, water quality, and available resources. But however you do it, a little planning, a bit of math, and careful water conservation can help you save money when it’s time for a fresh fill-up. 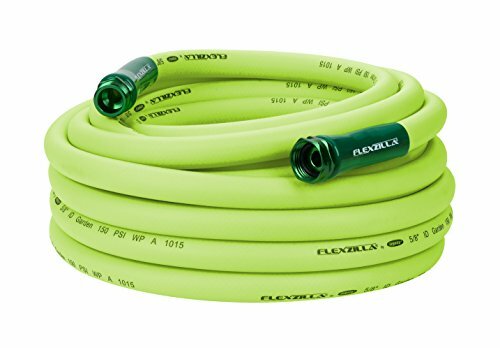 Hook up one end of your garden hose If you click this link and make a purchase, we earn a commission at no additional cost to you. to your outdoor tap, drop the other end in the pool, and voilà! You’re on your way to a summer of fun. This method of filling your pool is certainly one of the easiest, but it can get pricey depending on where you live. Drought, limited water supplies, and natural disasters can mean you might pay a premium to fill your pool, especially if the demand for potable water has led to water rationing in your area. Your costs may also vary depending on how your local water rates are determined by your supplier. You might even end up paying an excess usage fee in drought or other unusual conditions. Be aware that you might be charged a sewage fee as well if you’re on municipal sewage. Note: If you’re concerned about an extra sewage fee, give your local utility a call and let them know you’re filling a pool. They might give you a discounted rate, or even cancel the sewage charge altogether. Don’t forget to budget your time, too. The speed of your refill will vary based on available water pressure and the diameter of your garden hose. Plan on at least a day or two to fill an average-sized swimming pool. Your best bet is to consult your local utility office and find out how much you can expect to pay per gallon. You might feel a bit of sticker shock when you calculate the total (especially for a complete fill or refill), but chances are it’ll still be far less expensive than having the water delivered from a remote location. Why fork over your hard-earned dough when you can get your pool water from Mother Nature? If you own a well with the capacity to fill your pool, you might save yourself some serious cash by filling your pool for zero cents a gallon. Sure beats clipping coupons and scrounging in the couch for quarters to fill the Pool Water Fund jug. Tapping into your local water table can be a tempting prospect. But while well water doesn’t have a price tag attached to it, it does have a couple of characteristics that need special attention. Well water often has a distinctive scent and taste thanks to hydrogen sulfide and other minerals. The elements that permeate the water table are usually filtered out by city water plants. But when you pull your water straight from the well, you’re getting everything the water’s touched, and dissolved, on its way to your well. This can be a problem because all those excess minerals can make sanitizing and balancing your water a major headache. Sulphur compounds can prevent your shock from working properly, while iron, copper, and other metals can damage your hardware and stain your liner. Free water isn’t much of a bargain when you’re blowing your budget just trying to maintain healthy basic pool chemistry. Err on the side of caution and test your well water If you click this link and make a purchase, we earn a commission at no additional cost to you. for excessive amounts of hydrogen sulfide, copper, and iron before you fire up the pump. Will the Well Run Dry? While per-gallon cost might not be an issue, capacity is. It’s crucial to make sure your well can handle the volume needed to fill your swimming pool. Running your well dry and having to drill a new one can cost you thousands of dollars and weeks of lost time. If you don’t know how much water your pool holds, use this pool calculator to figure it out. Can Your Pump Handle It? The health and performance of your well pump If you click this link and make a purchase, we earn a commission at no additional cost to you. is another consideration when filling your pool with well water. You might need to beef up your hardware to fill your pool efficiently, and plan to replace your equipment more often. It’s also possible to use your pool pump If you click this link and make a purchase, we earn a commission at no additional cost to you. to bring well water into your pool. 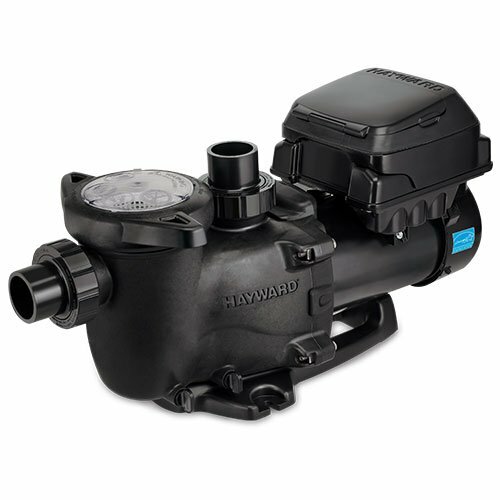 Just remember that’s not the pump’s intended purpose, so it can put quite a strain on your pump, diminishing its ability to do its actual job of pushing pool water through your filtration system. As long as you keep these caveats in mind, filling your pool from your own well may be a winner for you and your wallet. Important: If your well is your home’s only water supply, you might have a softener system and pump attached. This will ease or even eliminate concerns about water quality. You can fill your pool with a hose from the tap, just like you would with city water. But remember that you’ll be moving many thousands of gallons of water through your softener system, so be sure to factor in the cost of salt and the electricity required to pump the water to your pool. It works for pizza, so why not your pool water? It’s easy to call or hop online and order water from a local supplier. Chances are, you won’t even have to be home when your water arrives. Your friendly pool water delivery people will roll up in their transport truck, drop their hoses, fill ‘er up, and be on their way. You’ll come home to a full pool, ready for testing, balancing, sanitizing, and swimming! Some companies make things even simpler by providing pre-chlorinated water. We recommend you still test and balance that water If you click this link and make a purchase, we earn a commission at no additional cost to you. , though. The big consideration here is the price you’ll pay for the convenience. But if you don’t have a well (or your well water’s not up to snuff), or you face stiff costs due to water rationing, this option might be your best bet. Don’t be afraid to shop around. Get quotes from several local suppliers, compare that to your costs for a city water fill-up, and don’t forget to factor in the time you’ll save compared to the trickle of a garden hose or your average pool pump. The bottom line might be sunnier than you’d expect. As a rule, it’s better for your pool and your budget to keep your pool full of clean, balanced water rather than draining and refilling it unnecessarily. You’ll spend far less on incremental chemical treatments to maintain already-clean water than you will replacing the whole shebang. An ounce of prevention is worth a few thousand gallons of cure, so to speak. you’re filling your pool for the first time. you’re topping off your pool when opening it for the season, or after water loss (splashout, evaporation, etc.). you’ve recently drained your pool for repairs or to replace your inground pool liner. you’ve converted to a salt water pool. your pool water has become unbalanced or contaminated and doesn’t respond to chemical treatment. it’s been three to five years since you last filled your pool. How Much Water Does Your Pool Need? If you’re refilling a pool you’ve owned for years, chances are you already know how many gallons it holds. But if you’ve built a new pool or are filling your pool for the first time (e.g., after buying a new home), you might need to do a little math to calculate the precise amount of H2O you need. This will keep you from spending more than you need to on water, and help you budget for future refills. The easiest way is to use an online calculator. But if you’d rather do the math yourself, you can get out your measuring tape, and figure up your water needs with a few easy formulas. Depending on the method you’ve chosen—city water, well water, or pool water delivery service—the exact procedure for filling your swimming pool will vary. Note:If you’re filling an above ground pool for the first time or have recently replaced the liner and are refilling it, keep an eye on the liner as you fill the pool. Avoid filling the pool too fast to keep your liner taut and wrinkle free. As pool care chores go, this one’s pretty easy. Attach your garden hose If you click this link and make a purchase, we earn a commission at no additional cost to you. to an outdoor spigot. Put the other end of the hose into your pool. For top-offs, monitor the refill until the water hits your desired level (usually around the middle of the skimmer). Filling your entire pool this way will likely take a day or longer, so plan on checking in on the fill-up every few hours. If your home has a well as its primary water source, you can use the same method to fill your pool as with city water. Ensure your softener system (if you have one) is in good working order. Whether you’re pumping from a well to fill your pool or just top it off, make sure your pump, hoses, and other gear are in good repair. Attach a hose to your well pump If you click this link and make a purchase, we earn a commission at no additional cost to you. 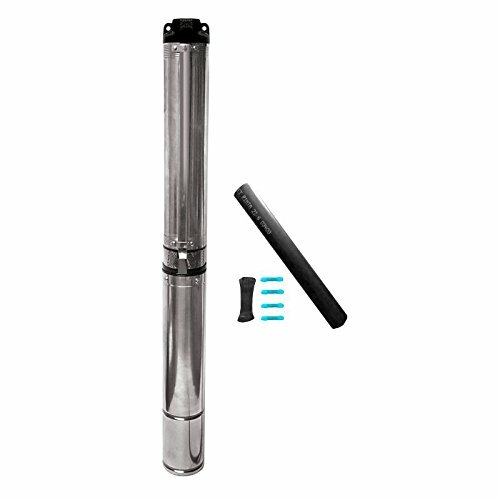 or pool pump If you click this link and make a purchase, we earn a commission at no additional cost to you. .
Place the other end of the hose in your pool. As with city water, keep on eye on your pool as it fills. Monitor your well’s water levels carefully to make sure it doesn’t run dry, since that will damage or destroy your pump and might lead to having an expensive new well dug. Since the water for your pool is coming from a remote location, you won’t have to hook up any gear to fill your pool. Just make sure the folks delivering your water have access to your pool, and if you’re concerned about safety or want to supervise, schedule the appointment for a time you’ll be home. They might seem fairly innocuous, but every drop adds up, and before you know it, you might find yourself spending money like water. An uncovered pool loses an average of about a ¼ to ½ inch of water per day to evaporation, barring any extreme weather conditions. This can translate to several thousand gallons of water per year. As that water floats out of your pool, money flies out of your wallet at the same rate. So what can you do? Well, you can’t completely eliminate evaporation, but you can reduce it. Use a solar pool cover on your pool between swims, and add a liquid solar cover in the spring and fall. If you use a pool heater, keep it as low as possible to reduce water loss due to evaporative heating. And while we love Bob Dylan as much as the next person, the answer to evaporation woes definitely isn’t blowin’ in the wind. Keeping the breeze at bay reduces evaporation, so consider adding landscaping, fences, or decorative barriers to keep both the wind and unwanted debris away from your pool, and more water in it. Even a minor pool leak can cost you thousands of dollars over time. If you find your pool is losing an inch of water or more per day, it’s likely there’s a leak somewhere. Once you find the pool leak, you can take steps to fix it. Or, if you feel that’s beyond your skills, you can always call a professional. The amount you pay for a pro to fix the leak will be recouped in water savings. Either way, don’t wait. The longer the pool leaks, the more water is wasted, and the higher the probability of other damage occurring behind the pool’s walls. OK, we know splashing is part of having a good time in the pool. We’re not trying to rain on anyone’s parade. But like leaks, excessive splashing can cost you money. All you really need to do is keep the splashing to a minimum. Keep an eye on kids (and adults acting like kids) to keep them from cannonballing you into the poorhouse. If your pool has water features like fountains or waterfalls, turn them off when they’re not in use, and make sure they’re not sending buckets of water out of the pool while they’re turned on. Watch your water level, too. Keep it low enough that normal fun in the pool (including a little splashing—we’re not monsters) doesn’t have water slopping out of the pool. Just like coffee, your sand filter If you click this link and make a purchase, we earn a commission at no additional cost to you. or diatomaceous earth filter If you click this link and make a purchase, we earn a commission at no additional cost to you. is at its best with minimal backwash. If you get a little overenthusiastic when you backwash your pool filter, you can burn through hundreds of gallons of water in minutes. To avoid wasting more water than is necessary to clean the filter, keep an eye on the sight glass. As soon as the water runs clear, stop backwashing. You can also save money by keeping your water clean and balanced. The harder your filter has to work, the more often you’ll have to backwash it, and the more water you’ll need to add to your pool. A little caution and water care can save you considerable cash. Filling a pool seems like such a simple thing—and it can be. Take the time to understand how much water your pool can hold. Choose the most cost-effective pool water delivery system for your needs, and carefully conserve water that’s already in your pool. You’ll end up with a full pool, a balanced budget, and enough extra cash to start saving up for that seaside retreat…or at least a few bottles of fancy water for your poolside bar. Changing a pool light bulb isn't like changing a bulb in a lamp, but it's not difficult, either. You can do it with the right tools, and a careful process. 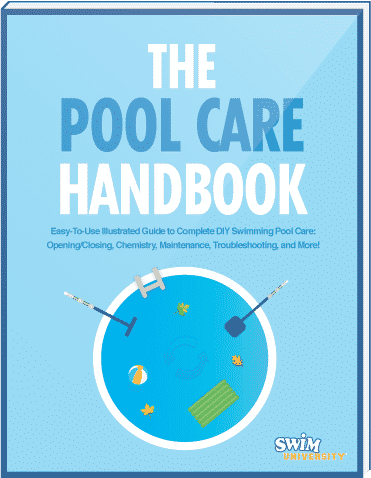 Prevent major pool repairs and make your pool look its very best by learning how to caulk your swimming pool today.